The perils of live microphones tripping up NBC’s Olympics – GO! 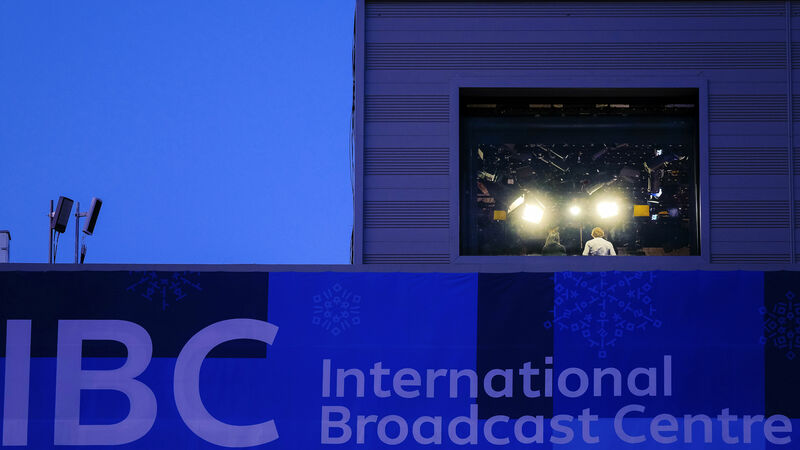 So it’s with a certain irony that when NBC has had problems in Pyeongchang, it has all been very simple: one person, one live microphone and some 20 million critics. The network has apologized — or not — for a handful of gaffes seen as insults by South Koreans, by the Dutch, by women athletes, by ski fans. NBC’s first problem came from an unexpected source, an expert on Asia assigned to provide context about the host country during the opening ceremony. Joshua Cooper Ramo has impeccable credentials — educated at the University of Chicago, a former Time magazine foreign editor, now a top executive at former Secretary of State Henry Kissinger’s consulting firm. That angered many South Koreans who caught wind of Ramo’s remark and resented their country’s treatment by the occupying force. NBC quickly apologized. Ramo hasn’t been heard from since on the network, although NBC said he was not contracted to work beyond the opening ceremony. Katie Couric, brought back by NBC for the opening ceremony, was the next to take heat. NBC’s telecast of that ceremony wasn’t televised in the Netherlands but, again, social media quickly made the Dutch aware of comments she had made. NBC’s team of ski announcers has had a rough Olympics so far. Former ski champion Bode Miller is on his first Olympic assignment for NBC and his overly technical, bland approach to calling races has left some viewers drowsy. But it was his sudden foray into gender roles that really caused him trouble. Veith was also central to a serious mistake by Hicks. She was in first place during the super-G competition — apparently, marriage wasn’t hurting her in the Olympics — when Hicks prematurely anointed her the gold medal winner. After the person considered to be Veith’s last serious contender couldn’t beat her time, Hicks said she was the winner and NBC switched to figure skating. But a longshot contender, Ester Ledecka of the Czech Republic, beat Veith’s time and took gold. The producers’ decision to move on was defensible; no one really thought Ledecka and some other final skiers had a chance. The mistake was Hicks’ certainty. The announcers sought to explain themselves the next night by describing just how improbable Ledecka’s victory was, but that felt more like an excuse than an attempt at accountability. While all different, NBC’s problems didn’t stem from attempts to be overly provocative or shocking, unless Miller had motives he wasn’t letting on. Instead, they were misstatements made in front of listeners ready to pounce (the hashtag #nbcfail is a venue for people who want to grumble). For two weeks, the men and women behind NBC’s microphones command the public’s attention the way very few can anymore in a fragmented society of media consumers. They’re ambassadors for sports that most Americans don’t care about for the three years and 50 months between each Winter and Summer Games.